IMU 002 : How To Transform Anything in Your Life. | Immigrant Masters Unite Podcast: Transform Your Business, Life and The World Around You! 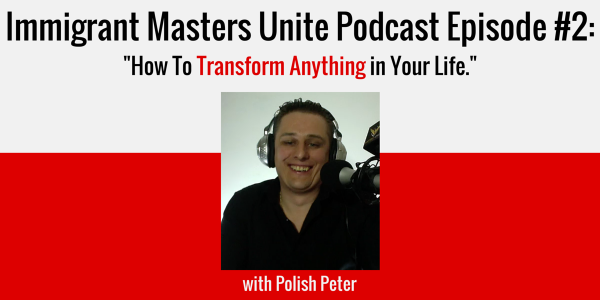 In this 2nd episode of the Immigrant Masters Unite podcast, Polish Peter goes into a coaching more and shows you how your past circumstances, your past defining moments, those AHA moments define who you are. Furthermore, he gives a powerful strategy for not only getting free from those past events, circumstances and even tragic moments but he shows you how you can use them to create a new possibility for your own life. Listen carefully, be open to this coaching and just try it on! Try the exercise and see what happens in your life and your business!